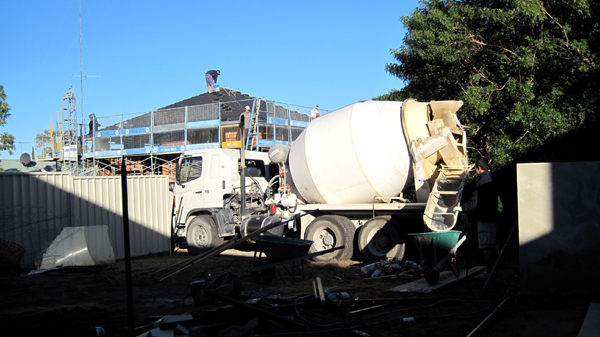 Perth Liquid Limestone takes pride in it’s preparation of all worksites. You will enjoy the beauty of your finished job long into the future with full confidence that every measure has been taken to ensure the perfect finish. Your beautiful outdoor area will be as fastidiously prepared below the ground where you are unable to see it as it will look to the eye where you can. The area to be poured limestone is prepared. This involves clearing the area to be poured and the required depths set to height. Allowances are made for drainage and fall which provides for excellent water drainage upon completion. All formwork is put in place which acts as the finished height of the liquid limestone when installed. The area is wet down and compacted ensuring the hardened limestone sits on highly compressed ground for a strong and reliable foundation. Tarpaulins are placed on existing areas, ensuring any spillage is caught and easily removed. The liquid limestone is electronically measured and mixed to our specifications in a concrete batching plant and dispatched to your address. The liquid limestone is either wheel barrowed in or discharged straight from the truck where possible. In areas of very limited access a concrete pump may be required. 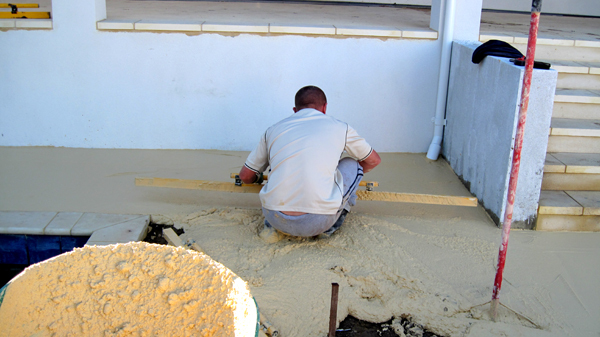 The wet mixture is placed on the ground and we then screed it to smooth the limestone and bring it to the desired level. 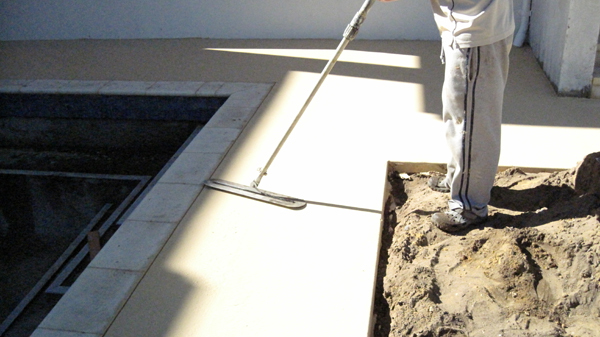 The limestone is then worked using a variety of tools ensuring a professional finish. A finishing scratch or texture is then created to give the final finish the look of natural limestone. A broom is then used to obtain a smooth final finish. The following day the pattern of your choice is cut into the now hardened limestone. The completed job is then cleaned using a commercial grade high pressure cleaner bringing the liquid limestone to the cleanest possible state prior to sealing. Your beautiful job is sealed at its ultimate level of perfection.